Tis the season for Red Lips! Today I wanted to share a quick FOTD. It's super easy yet glam at the same time. One of those last minute looks you pull out when you want to look done up but don't have a lot of time to do it. Check it out! 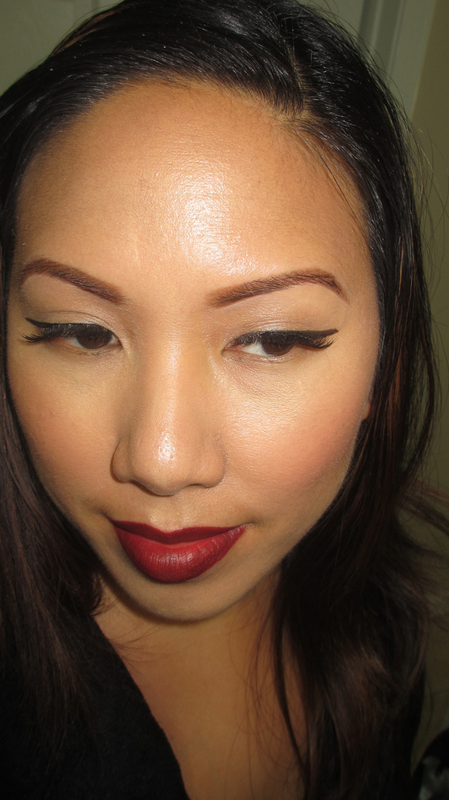 The key to this look is deep red lips for fall and winged out liner - pretty much your classic pin-up. I paired it with a rosy blush to give color back to the face. It's important to add some bronzer or blush to your look when doing a vampy lip. On my eyes I'm wearing good old Revlon Colorstay Liquid Liner in Blackest Black along with some falsies. Make sure to fill in those brows as well to round off the polished look. 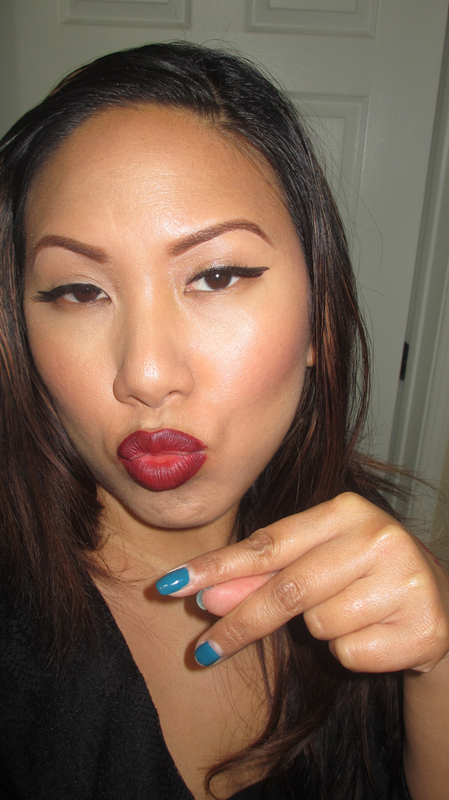 On my lips is MAC Diva lipstick, a blogger favorite. It's a universal, deep red shade. This look is easy, glam and looks good on every complexion. You can switch out the lip color for really any fall lippie - plum, purple, pink, it's up to you. Either way, have fun with deeper lip colors for the fall. I agree with you, blush or bronzee should be applied with red lips, it's just completes the look! Ahh yes...this is the look that I have been going for all season so far! LOVE IT! love the make up! the lipstick shade looks great on you~ do you have a video tutorial? Love this lipstick on you! Gorgeous!